At the end of World War II, one of the most difficult tasks facing the victorious Allies was finding, and bringing to justice, thousands of war criminals, including those responsible for the Holocaust. Discovering the main criminals was relatively easier, since they had occupied positions of power and were, mostly, easy to find. Nonetheless, many - the most notable being Adolf Eichmann - escaped justice for years. The reasons they were able to do this are varied and controversial, but suffice it to say that among them were complicity by government and other agencies, shelter provided by family, friends and ex-colleagues and the sheer enormity of the task at hand. Others, such as Josef Mengele, were only found after their death. Still others, such as Heinrich Müller, and Alois Brunner have never been found at all or have not been able to be captured. At the same time, thousands of less well-known, but no less criminal players in the tragedy were able easily to hide. Since they were not known very well, they were able to melt into German or Austrian society with relative ease, emigrate to other countries, especially in South America, or merely vanish. In many cases, it was not known they had been involved in the Holocaust for many years after the end of the war, and for this reason, they had an often lengthy "head start" on their pursuers. One such individual was Lorenz Hackenholt, an almost unknown SS-Hauptscharführer [Sgt-Major], who served at three of Aktion Reinhard death camps (Belzec, Treblinka and Sobibor) and was responsible for designing and running the gas chambers at those camps. Including his previous work at the euthanasia camps, he was complicit in the deaths of at least 1.5 million Jews. When the then West German government began to hold trials of the death camp participants in the late 1950s and early 1960s, they sought to track down as many of the former camp staff as they could find. One person eagerly sought was Lorenz Hackenholt. In the article that follows, Michael Tregenza shows how daunting a task it could be and demonstrates some of the roadblocks that enabled people such as Hackenholt to escape discovery. On 1 December 1958, in a part of the prison complex in the market town of Ludwigsburg, Wurttemberg, West Germany, a special judicial investigation office was opened with the unwieldy title of Zentrale Stelle der Landesjustizverwaltungen zur Aufklärung national- sozialistischer Verbrechen (Central Office for State Justice Administration for the Elucidation of National Socialist War Crimes), abbreviated to ‘Z-Stelle’ (Central Office). The initial main task of this special office was to examine in detail the organization, operation, staff, and victims of the six Nazi extermination camps at Auschwitz-Birkenau, Majdanek, Chelmno, Belzec, Sobibor and Treblinka, tracing original documents and photographs, and locating eyewitnesses, especially survivors, who could testify at resulting criminal proceedings for war crimes and crimes against humanity before West German courts. In addition, the Central Office was responsible for coordinating the various criminal investigations conducted by local State Prosecutors, special police war crimes units and the Kriminalpolizei. The first major investigation directed by the Central Office concerned the Aktion Reinhard extermination camps at Belzec, Sobibor and Treblinka in eastern Poland in which about 1.5 million Polish and foreign Jews were murdered in gas chambers and their corpses cremated on open air pyres. The investigation, begun in the autumn of 1959 and which lasted until the mid-1960s, benefitted from the coperation of the Inspector-General of the Israeli police in Tel Aviv who, in his capacity as the head of Interpol in Israel, coordinated the search in that country for survivors and witnesses. Certain important details omitted by Hackenholt from his c.v. were provided by one of his former SS-comrades, Werner Dubois, questioned in Schwelm by officers of Department 15 of the Northrhine-Westphalian Kriminalpolizei. Dubois had served before the war in the same SS-unit as Hackenholt. According to this witness, they both belonged to the 2. Totenkopf Brandenburg Division stationed at Oranienburg, north of Berlin, and when in March 1938 an SS vehicle depot was established at the nearby Sachsenhausen concentration camp, Dubois and Hackenholt were transferred to the camp staff as both SS-men were skilled motor mechanics and drivers with Class I-III driving licenses. At Sachsenhausen they also performed the more onerous task of concentration camp guards as well as serving as SS-drivers for the camp command and staff. A part of the duties of the SS drivers from Sachsenhausen would also be to collect the patients from the mental asylums and deliver them to the killing centres in a fleet of buses. The SS-NCOs were further informed that they were to perform their duties in the euthanasia operation in civilian clothes only, but would be permitted to retain their pistols and SS paybooks. Civilian clothes were bought for them at the expense of the Führer's Chancellery, and after spending the night in a guest house on the Hallesches Ufer, the SS-NCOs were driven in a bus to Grafeneck castle in the Swabian Alps south of Stuttgart in Württemberg. The bus in which they travelled was driven by SS-Scharführer Lorenz Hackenholt. From the beginning of 1940 when Grafeneck became operational until the summer of 1941 when the gassings were stopped on Hitler's orders, Lorenz Hackenholt served in all six killing centres, both as a bus driver and as a so-called 'disinfector/burner' unloading the corpses from the gas chambers and cremating them. He also acted for a time as the driver for SS-Untersturmführer Dr. August Becker, the chemist employed by the Foundation to procure and deliver the gas cylinders to the killing centres. shed airtight and sound-proof. A few weeks later, SS-Scharführer Lorenz Hackenholt was to begin his career as the Aktion Reinhard gassing expert. Within the short space of time of only one month — mid-March-mid-April 1942 — over 50,000 Jews were killed in the primitive gassing shed by the exhaust fumes from a Soviet tank engine operated by Lorenz Hackenholt. Later in the year, he designed and supervised the construction of new and bigger gas chambers in Belzec as well at the Treblinka and Sobibor extermination camps. Before their marriage, the Hackenholts had been registered with the Berlin police as living in separate apartments at Kurfürstendamm 112 in the Reich capital. As this was Lorenz Hackenholt's last known address, it seemed the logical place for the investigators at the Ludwigsburg Central Office to begin their search for the wanted war criminal. The declaration of death was applied for by the wife, Ilse Hackenholt, nee Zillmer, domiciled at Allee 68 in Heilbonn/Neckar. The date of death was given as 31.12.1945. As grounds, the wife stated that she had heard nothing from her husband since November or December 1944. He was at that time an SS-Oberscharführer on the Central Sector of the Eastern Front. The Field Post Number was not known. In the file there is also a deposition by Hackenholt's mother, the widow of Theodor Hackenholt of Goerrerstrasse 8 in Gelsenkirchen III, dated 28.9.1953. This states that she too was unable to give the Field Post Number, and was no longer in possession of any letters from her son. She too had received no news from her son after 1944. In the file the date of marriage is given as 4.11.1941, Berlin-Schmargendorf Registry Office. The last address for the Hackenholts is at Martin Luthar Strasse 11 in Berlin-Schönenberg, c/o Gloth. if negative, whether perhaps she was living with a man to whom Hackenholt's personal details could apply. On 1 December 1959, the Heilbronn Kriminalpolizei reported that Ilse Hackenholt had arrived in the town from Stuttgart on 7 January 1953 and taken up residence at Allee 68. She had been employed as a masseuse at the Badschuch-Strack Clinic. On 22 May 1955, she had reported her departure for Tiefenbach, but between May 1954 and February 1955 she had returned returned for a few weeks at the request of her employer and resumed her job as a masseuse at the Clinic. The report also stated that in Tiefenbach Frau Ilse Hackenholt lived in a small but solidly-built wooden chalet named 'Sonnenhuttle' with a Fräulein Margarete B. The two women shared the expenses and worked together in a sauna in Isny/Allgäu. The chalet was looked after by a destitute Hungarian woman. At the request of the Ludwigsburg Central Office the local Grenzpolizei in Tiefenbach kept Ilse Hackenholt and the 'Sonnenhuttle' under surveillance and were instructed to particularly note all male visitors to the premises. The surveillance report was submitted to Ludwigsburg almost exactly a year later later, on 29 November 1960, via the Kriminal-polizei office in Kempten/Allgäu. Frau Hackenholt was not questioned as the opportunity exists to interrogate a Colonel in the Ministry of Defence in Bonn, H., who knows Frau Hackenholt well and stays with her on visits to Tiefenbach. The friendship stems from their duty together in the former Wehrmacht. Colonel H. is Inspector of Training Affairs and, among other things, is also responsible for the Ordensburg (Senior Officers' Training College) at Sonthofen. In the documents available at the archive of the Central Office in Ludwigsburg there is no further mention of this long-standing relationship between Frau Ilse Hackenholt and the senior Ministry of Defence official; nor is there any indication that he was questioned about Lorenz Hackenholt. Frau Hackenholt was privately employed at the Wilhelmsbad Spa in Jsny/Allgäu until October 1960. She was a good worker and well liked. Frau Hackenholt came to Tiefenbach with Fräulein von Z. after the war. They knew each other from the former Wehrmacht. They use an old Volkswagen car. The women are respected in the village and do not appear to be disagreeable. Close contact with the rest of the inhabitants does not exist, therefore nothing would be gained by questioning them. Frau Hackenholt has never been a burden on the community, and neither have the other women. It could not be ascertained whether Frau Hackenholt receives a war widow's pension. There were no further leads in the search for former SS-Scharführer Lorenz Hackenholt until the following spring. On 1 March 1961, two officers from Sonderkommission III/a (SK III/a), the war crimes investigation unit of the Munich Kriminalpolizei assigned to the case, travelled to Berlin to interrogate one of his former SS-comrades. In Berlin-Tegel prison they questioned Erich Bauer who was serving the eleventh year of a life sentence imposed by a Berlin court in 1950 for crimes committed at the Sobibor extermination camp. In 1942-43, SS-Oberscharführer Bauer had been Hackenholt's counterpart, in charge of the Sobibor gas chambers in which over 250,000 Jews had been murdered. A great deal of correspondence was indeed found, but none of it from the missing Lorenz Hackenholt. The letters were mainly requests to and replies from the Russian Half Moon Organization, the Russian equivalent of the Red Cross, concerning Hackenholt's possible fate. All the enquiries had been written by his sister Anna who, when asked about this lengthy correspondence — obviously an exceedingly big effort on her part to discover what had happened to her brother — replied that she only wanted to be convinced of his death. All the other women present, six female members of the Hackenholt family - his mother and five sisters, and a tenant who was a war widow — concurred with this reply, but had no answer to the question why neither the mother nor the wife had ever made any effort to find the missing male member of the family. When asked on what grounds they were so certain that no correspondence had been received from Lorenz since a certain date before the end of the war, they made no reply and only attempted to convince the police officers that in spite of this apparent lack of correspondence, the relationship between Hackenholt and his wife, and indeed the rest of the family had been good. When pressed further, and asked why — if as was now believed — and, the women merely shrugged their shoulders. On caution, the subject admitted that in the proceedings for the official declaration of death — and in view of the latest news — she had probably made a false statement about the latest news she had received from her son. She stated that her daughter-in-law, Ilse Hackenholt, in connection with the declaration of death, had written her a letter requesting her to sign a suitable affirmation, which she did without reading it. But why had the local policeman visited the house in the first place? The Citizens' Registration Bureau (Einwohnermeldeamt) in Gelsenkirchen could have answered the question about whether of not Frau Elizabeth Hackenholt was still living there. In fact, the Munich police could have telephoned the Bureau themselves. The search lasted a little over three hours and the officers left at 10:10, having found no trace of correspondence to or from Lorenz Hackenholt, nor any photographs of him, or further hints or clues to his possible whereabouts. In Tiefenbach on the same day, 8 July 1961, another house search was carried out at the 'Sonnenhuttle' chalet by two plain clothes officers of the Grenzpolizei on a warrant issued on the same grounds as the one in Gelsenkirchen. The warrant had been issued by the magistrates court in Sonthofen on 23 June. One wonders why the police then waited two weeks before discharging their duty. The chalet was found to consist of very modest accommodation: one large living room, a bedroom, an attic which could be used as a bedroom, and a glass verandah. But the search, in the words of the official report, dated 16 July 1961, 'produced no result'. Ilse Hackenholt, during a lengthy conversation, and after being cautioned to tell the truth, made the credible statement that she knew nothing about her husband Lorenz Hackenholt. She had, so she says, received the last letter from her husband in 1944 or 1945. She does not know exactly where this letter came from, but probably from the east. She had finally had her husband declared dead. Her marriage had not been very happy and her husband had written relatively seldom. She was astonished to hear that her husband could still be alive. Here she protested once again that if this were true she had nothing to do with it. Finally, she asked that she should be informed about where and when her husband had been traced as she had a legal right to know this. This search too produced no result. In the camp, Hackenholt soon acquired a reputation for being the type of person who, because of what his comrades called his 'outstanding ability to organize anything', could be relied upon for all kinds of jobs, especially of a technical or mechanical nature. After a one month break in the gassing operation at Belzec in the spring of 1942, the original gassing shed was torn down and a bigger, solid installation of brick and concrete was constructed which contained six chambers, three on either side of a central corridor. Two Soviet tank engines, each one serving three chambers, were installed in a machine room at the rear of the building. According to SS-NCO Dubois, 'To my knowledge, the plans for the solid gassing building came from Hackenholt. The construction of the building itself was carried out by 'work Jews'. Hackenholt supervised the work personally and when the installation was completed a sign was placed on the wall next to the entrance Stiftung Hackenholt (Hackenholt Foundation) in honour of its creator. Once again he supervised the running and maintenance of the gassing engines, assisted as before by Ukrainian guards and Jewish prisoners. At the onset of winter, Hackenholt returned to Belzec where — on the orders of the Reichsführer-SS, Himmler — the hundreds of thousands of corpses buried in the camp were about to be exhumed and cremated. For a few weeks he operated a mechanical excavator opening the mass graves and removing the decomposing contents and during this time, according to Belzec villagers who met him in the local bars, 'Hackenholt stank of corpses'. On the instructions of SS-NCO Herbert Floss, the Aktion Reinhard cremation expert, the exhumed human remains were cremated on big grates constructed of railway lines placed on top of squat concrete pillars arranged around the rim of an empied grave. At the beginning of December, a second grate was constructed and between them the two pyres consumed about 4,000 corpses every 24 hours. SS-NCO Heinrich Gley who supervised the cremations estimated that over half a million corpses were burnt between the end of November 1942 and March 1943. During her stay in Lublin during the last three weeks of October and the first days of November 1943, Ilse Hackenholt met several of her husband's SS comrades as well as Gottlieb Hering, the former commandant at Belzec. At this time he was commandant of the Jewish labour camp at Poniatowa near Lublin which came under Wirth's jurisdiction, and regularly visited him at the airfield. SS-Hauptscharführer Hackenholt was attached to the R-I unit in San Sabba, which was used as a holding centre for the Italian Jews before they were handed over to the Trieste Sicherheitspolizei for deportation by train to concentration camps in the Reich. Wirth, however, turned the San Sabba rice mill into a mini death camp in which Jews as well as Yugoslav partisans were interrogated and executed. Their bodies were burnt in a crematorium constructed by Erwin Lambert. The executions and cremations, unauthorised by SS-Gruppenführer Globocnik, were finally stopped on his orders in early May 1944 and the Einsatz R units switched to anti-partisan duties on the Istrian peninsula. Wirth nevertheless was promoted to SS-Sturmbannführer. In 1944, Hackenholt was awarded the Iron Cross, II Class, for his dedicated and unquestioning service to Aktion Reinhard, and a year later, in the spring of 1945 — according to his SS comrades Josef Oberhauser, Hans Girtig and Heinrich Gley — he was killed in the fighting near Trieste. The investigators at the Central Office in Ludwigsburg and the officers of SK III/a in Munich, however, had collected sufficient evidence indicating the strong possibility that SS-Hauptscharführer Hackenholt had not been killed during the last days of the war, but was still alive at least until 1946. Consequently, the State Prosecutor at the Regional Court in Munich I drew up a detailed indictment against him for participation in mass murder and crimes against humanity. By all accounts, Lorenz Hackenholt had been a loner with no close friends; certainly throughout the investigation not one of the men he served with — some of them since the early days at the Gafeneck killing centre in 1939 — would admit to being in any way friendly with him. They all agreed independently that even his free time he spent mostly alone. The Central Office and SK III/a investigators therefore concluded that such a callous, brutal and selfish person, used to existing alone and relying on no one but himself, could well have survived the war. What, then, might have happened to Lorenz Hackenholt during the last days of the war and its aftermath? It was known that 11 members of the Aktion Reinhard and Einsatz R SS-Sonderkommandos who served in Poland and Italy had been killed in action in northern Italy in 1944, including their commander SS-Sturmbannführer Wirth who had been assassinated by Yugoslav partisans. They had all been buried in the German Military Cemetery at Opcina, overlooking Trieste, and between 1957-1961 exhumed and reburied — together with over 21,000 other German war dead in Italy — in a new German Military Cemetery at Costermano on the eastern shore of Lake Garda in Verona province. But there was no record of a Lorenz Hackenholt ever being buried either in Opcina or Costermano. Juhrs does not mention whether this anti-aircraft duty performed in lieu of bartered goods was voluntary or imposed upon them by Hackenholt. that the war was lost and shrewdly released all the Jews still held in the mill, together with Hackenholt, who no doubt considered it prudent to disappear from Trieste. In doing so, he committed another capital offence in wartime: desertion in the face of the enemy. It is very probable that the 'Flakvierling' was one of the pair of anti-aircraft guns previously mentioned by Robert Juhrs. It would have been typical of Hackenholt to arrange his own speedy escape from the frontline by offering to drive the lorry over the border while the sailors manned the weapon against Allied air attacks, which were very frequent. The final rallying place for the Einsatz R units was at Kirchbach in Austria where they were disarmed by British troops and then allowed to continue their retreat. The names of the extermination camps at Belzec, Sobibor and Treblinka in Poland was unknown to the British soldiers who regarded all German troops coming over the border from Italy as fighting troops. This was the first of several occasions when Frau Schubert was to commit perjury by denying all knowledge of Lorenz Hackenholt. As her apartment had been used after the war as a 'clearing house' for information about 'old comrades' from the days in Poland in Italy, it is therefore not impossible that she knew of Hackenholt's whereabouts in 1945-46. It was time to interrogate Ilse Hackenholt again, this time more rigorously and in greater detail. An officers of SK III/a in Munich contacted the Genzpolizei Inspectorate in Sonthofen near Tiefenbach and requested that they summon Frau Hackenholt for questioning. Two SK III/a officers travelled to Sonthofen to conduct the interrogation, arranged for 31 October 1961. At this point in her statement, Ilse Hackenholt recounted the events that prematurely terminated her ill-fated holiday in Lublin in October-November 1943 to stay with her injured husband. She then told the SK III/a officers that she remembered for certain receiving a letter from him for her birthday in November 1944, and that she probably replied to this letter. After that, her memory of further correspondence was vague. Shortly after the war, that is, at the end of May or beginning of June 1945, I was visited in Berlin by a man I did not know. This man brought a handwritten note, whether written in ink or pencil I no longer know, on which was written only, 'Many Greetings, Your Lori'. As this incident could be of some importance, I must explain something else. In November 1943 I lost my apartment at Martin Luther Strasse 11 through bomb damage and went to my sister's at Babelsberger Strasse 3 in Berlin-Wilmersdorf. As I have already stated, my husband was given 'bomb leave' at this time and therefore knew the new address. In the last days of the war the Babelsberger Strasse district was completely destroyed and I wrote on the wall of the ruin my new address: Wilhelmshohe Strasse 3, Berlin-Friedenau. The man who brought the note from my husband could have got the Babelsberger address from him, and then found me through the address on the ruin wall. The man introduced himself to me by name but I no longer know what it sounded like. I think it was a short name and had a 'a' in it. .
would not, however, tell her where her husband was. Ilse Hackenholt explained that she could not hand over the clothes immediately because they had been taken to his sister's at the onset of the heavy Allied bombing of the Reich capital. It occurred to her then that her husband would have known this. After a conversation with the stranger that lasted perhaps 10 minutes he left, promising to return two days later for the clothes. On his return, the man again asked for Lorenz Hackenholt's civilian clothes, and this time had an an additional request, also allegedly from Hackenholt: he now wanted a valuable diamond ring which Lorenz had given her. Not wishing to hand over such a valuable piece of jewellry to a complete stranger, Ilse Hackenholt asked him to return later when she had thought it over. I know for certain that the stranger never told me where my husband was staying in the west, but I can remember quite clearly that he said he wanted to get to Memmingen. This was an intriguing piece of information. Memmingen is almost equidistant between Stuttgart and the Ingolstadt area where Bauer and Rehwald claimed they had met Hackenholt in 1946. And Memmingen is only 50 kilometers from Tiefenbach where Ilse Hackenholt made her permanent home in December 1951. There is no indication in the report of the interrogation that the SK III/a officers asked her why she had chosen this particular village as her home. The interrogators next turned to the question of the official declaration of death of Lorenz Hackenholt requested by Frau Hackenholt in Berlin in 1953, two years after she moved to Tiefenbach. She explained that she had first approached the Regional Welfare Office in Heilbronn, where she was living at the time because of the job offered to her at the Badschuh-Strack Clinic, with the intention of claiming a war widow's pension. This was her right as her husband had not returned after the war and was listed as 'missing'. It was explained to her at the Welfare Office that in order to claim such a pension it was first necessary to have her husband officially declared dead by a magistrates court; it was not sufficient for him to listed simply as 'missing, believed killed in action'. After producing the required documents, birth and marriage certificates, and completing the official forms, Ilse Hackenholt had next gone to the court in Berlin-Schöneberg, the district in which she and her husband were last registered with the police during the war. The court accepted her version of events and eventually entered in the court records the official date of Lorenz Hackenholt's death as 31 December 1945. This statement was untrue. As this interrogation has shown, I knew that my husband came home on leave from the south and had eventually returned there. Also, the letter for my birthday in November 1944 was not the last sign of life from my husband. I have explained in detail that my husband sent someone after the war. It is not necessary for me to say any more about this. When I am cautioned that there are depositions from several witnesses that my husband survived the war, then I can say that this could be correct, but it does not alter the fact that I have not seen him since the war and have heard nothing from him since the mysterious note. It was known to me that my husband, through his membership of the SS, had had something to do with the Jews and the Belzec Jews' camp. For this reason I did not consider it feasible to pursue enquiries. happy'. She now claimed that the relationship had always been good, and added, 'I reckon that if he were still alive he would have let me know'. In August 1959, my brother-in-law Theo Hackenholt visited me for a holiday. On this occasion he told me about an experience which had made a very strong impression on him. On the journey a lorry had passed him and he recognized the driver as his brother. I do not know any more today on which road or between which towns this could have been. Once again the interrogators returned to the subject of the false declaration of death, but Ilse Hackenholt replied that the questioning had already lasted six hours and she could no longer think straight. The two officers terminated the interrogation and left. Almost two weeks passed before the SK III/a inspector who had led the interrogation in Sonthofen travelled to Gelsenkirchen in the Ruhr to follow up Ilse Hackenholt's claim that her husband had been seen only two years before by his brother. (One wonders why Lorenz Hackenholt's younger brother Theo had not been questioned much earlier in the investigation as a matter of routine). It is correct that in August 1959 I went for a short holiday to visit my sister-in-law Ilse Hackenholt in Tiefenbach/Allgäu. During a conversation with my sister-in-law, which lasted one-and-a-half hours, I told her that I believe that I saw my brother Lorenz Hackenholt in 1947. It is incorrect that the encounter took place in 1959 on my way to Tiefenbach, as stated by my sister-in-law. In 1947 I was driving a lorry and trailer from Dortmund to Gelsenkirchen on Bundesbahn 1. On the way we met a delivery van which I cannot describe in detail. It could have been a converted private car. The driver of the approaching vehicle could have been my brother Lorenz. I had no opportunity to observe the driver properly as everything happened too quickly. At this encounter I only had the impression that the driver could have been my brother. I had no opportunity to note the license plate of the vehicle, nor whether or what writing the vehicle had on its side — the things by which to instigate enquiries about my brother. To questions, I reply that the vehicle was in no way a heavy lorry. Theo Hackenholt may only have had the impression that the driver of the oncoming car was his brother, but it made a strong enough impression for him to mention it to his sister-in-law 12 years later, which suggests that at the time they were discussing Lorenz Hackenholt. It is not very likely that Theo Hackenholt could easily have mistaken his brother's hard, dark features, even after a gap of three years. Insofar as Ilse Hackenholt is suspected of having embezzled money, I have submitted the interrogation reports to the State Prosecutor in Kempten/Allgäu. whether any delivery driver — in the widest sense of the word, not only goods or long distance lorry drivers — is, or had ever been registered. This official request was passed on by the Ingolstadt police department to all police stations within their jurisdiction. Every male with the names, Jansen, Jensen, Johansen, or anything similar, was systematically checked. None of the people investigated could be connected in any way with Lorenz Hackenholt. The Ingolstadt police and all police stations in the region were provided with copies of Hackenholt's photograph and asked to check every garage, service station, vehicle repair workshop, motor accessory shop, vehicle park, and guest house frequented by drivers of commercial vehicles. There was no result. The State Association for Bavarian Commercial Goods Carriers (Landerverband Bayrischer Führungsunternehmer) asked to enquire through their branch offices whether they had ever registered any drivers with names similar to the alleged alias who drove Faun vans. As most commercial goods drivers were registered with the Association they were easily checked. In addition, every member of the Association, regardless of name, was also checked. There was no result. All enquiries, involving several thousand drivers, proved fruitless. with names similar to Jensen, Jansen, etc. As it was known that Hackenholt was a ruthless character and drank a lot, it was thought there may be a notification under one of these names for a traffic or drink/driving offence. The original list given to the Ingolstadt police was extended to include taxi drivers, public transport drivers and driving instructors who had names similar to the alias. All these men throughout West Germany were meticulously checked, area by area, by their local Kriminalpolizei office. Every single person's photograph and a sample of handwriting was checked against Hackenholt's. This extensive country-wide search also produced no result. Every owner of a Faun van in the south-eastern part of the country was checked through the Federal Vehicle Office in Flensburg. Flensburg informed SK III/a that there were 68 owners registered for the period 1945-47. All of them were individually checked by local police - not only the present owners of the vehicles, but also all previous owners - and in each case the person concerned was shown a photograph of Hackenholt. As a further check, the police additionally examined every owner's and previous owner's Social Security records and place of work. This detailed investigation also led nowhere. The German Armed Forces Information Centre in Berlin (Deutsche Dienststelle für die Benachrichtigung der nächsten Angehörigen von Gefallenen der ehemaligen deutschen Wehrmacht) was asked whether they had any record of any officer or other rank with a name similar to the alleged alias who had been killed in March, April or May 1945 in Italy or Austria whose identity documents Hackenholt could have taken. This enquiry too had no result. The officers of SK III/a now requested from the Central Office in Ludwigsburg further details about the alleged postwar meetings of Hackenholt with Erich Bauer and Fritz Rehwald, but Bauer was unable to add any further useful details to his previous statement, and Rehwald, according to Ludwigsburg, 'could not be traced'. All the defendants at the forthcoming Belzec Trial before the Regional Court in Munich I were questioned again about Hackenholt and his possible whereabouts. These additional interrogations also produced no leads. The investigators now had little option but to continue and extend their enquiries concerning all males with names akin to to the alias mentioned by Bauer. This time they enlisted the help of regional Council Vehicle Permit Offices who were asked to check individual applications for driving licenses — renewals as well as fresh applications — for the period 1945-47. Hackenholt's photograph and handwriting were compared with those of each applicant, but without referring to the applicant's name. This entailed checking over 90,000 individual applications forms. There was no result. women'. In Stuttgart-Fellbach, Frau Schubert again denied knowing anyone called Hackenholt. Meanwhile, in Ingolstadt, the investigators decided to check with the local council offices in the area all applications for personal identity cards and special permits, in the same way that driving licenses had been scrutinized - by comparing Hackenholt's photograph and handwriting with those on the documents, but without referring to the applicant's name. This investigation, however, could not be carried out. The documents were no longer available. Only the card index remained which did not bear photographs of applicants and was therefore of no use to the investigation. In the early summer of 1962, the Bavarian Social Security Court in Augsburg summoned Ilse Hackenholt for fraud. She was charged with falsely applying for and receiving a substantial sum of money in the form of a back-dated war widow's pension. The court found her guilty of making a false declaration and fraudulently receiving the money. All future payments were withdrawn. Ilse Hackenholt appealed against the verdict on the grounds that she had not knowingly committed fraud and that she was being 'unjustly pursued' by the court which, as her defence attorney claimed, had 'illegally withdrawn her pension'. Her attorney also used the argument that a previous criminal charge against her — at the instigation of the examining magistrate at the Regional Court in Munich I — of embezzling the 10,000 DM indemnity, had not been proceeded with by the State Prosecutor in Kempten. The case had been dropped 'for lack of evidence'. Ilse Hackenholt's appeal was rejected the following year and the court imposed a heavy fine upon her. One of the witnesses questioned during the appeal was Helene Schubert who yet again perjured herself by denying knowing personally anyone called Lorenz Hackenholt. In the meantime, on 9 October 1962, the examining magistrate at the Regional Court in Frankfurt-am-Main wrote to SK III/a in Munich enquiring about progress in the search for Lorenz Hackenholt as he too was interested in the whereabouts of the former SS-Hauptscharführer. The State Prosecutor in Frankfurt was preparing indictments against several participants in the T4 'euthanasia' killings and Hackenholt featured high on the 'wanted' list of the Frankfurt court. SK III/a replied six days later with a detailed report of their three year investigation, and informed the judge that only one enquiry now remained outstanding, namely, to determine whether Hackenholt had ever been interned as a POW at the Weilheim or any other camp in the former US Zone of Occupation. If he had been released from the Weilheim camp in the summer of 1945, together with Schluch, Zierke and Juhrs, then the police stations in the vicinity may well have rendered assistance in the form of cash, provisions, and a driving license. Therefore, SK III/a — in conjunction with the Office of the State Prosecutor in Dortmund who was dealing with the Sobibor Case, and also wished to indict Hackenholt — requested from the US Army headquarters in Heidelberg lists of names of German POWs released from their camps in 1945. At the same time, the Office of the State Prosecutor in Munich I sent an enquiry to Washington also requesting details of German POWs released from American custody. The SK III/a report to the Frankfurt court further informed the examining magistrate that it if these enquiries did not produce any new leads, 'the investigation into the whereabouts of Lorenz Hackenholt would be terminated'. The American military authorities in Heidelberg and Washington were unable to provide any further useful information and the investigation was finally abandoned at the end of 1963, having lasted almost four years. The complete documented record of the West German police search for Lorenz Hackenholt 1959-63 is contained in a file with the title: Sonderakte Fahndung Hackenholt (Special File on the Search for Hackenholt). According to the records of the Central Office in Ludwigsburg, three copies of this special file exist: at the Central Office in File No. 208 AR-Z 74/60; at the Office of the State Prosecutor at the Regional Court in Hamburg in File No. 147 Js 573/60; and in the Office of the State Prosecutor in the Regional Court in Munich I in File No. 110 Ks 3/64. Enquiries by the author via the Central Office in Ludwigsburg for access to these special files, however, produced interesting results. The Ludwigsburg file on Hackenholt was 'missing'; the Office of the State Prosecutor in Hamburg declared that their files are not open to the public, and anyway, they have no such 'special file'; and in Munich the file 'could not be found'. Also 'missing' from the Munich archive was a photograph album compiled by the Munich Kriminalpolizei and entered in their Daily Duty Log under Item No. K 5462 - 202/60, which contained several photographs of Hackenholt. However, a photocopy of this album was later sent to the author from Munich. During research in Germany for this article, the author was warned by a State Prosecutor familiar with the case and a police officer 'not to attempt to look for Lorenz Hackenholt'. Adelbert Ruckerl, ed., NS-Prozesse Nach 25 Jahren Strafverfolgung: Möglichkeiten - Grenzen - Ergebnisse (Karlsruhe, Verlag C. F. Muller, 1972), p. 21. Letter from Tuviah Friedman, Director of Documentation at the Institute of Documentation in Israel for the Investigation of Nazi War Crimes, Haifa, Israel, to Senior State Prosecutor Dr. Schuele, Director of the Ludwigsburg Central Office, dated 22 September 1959. Since 1994, the US authorities handed over the Berlin Document Center files to the Federal German authorities. The archives are now administered as a branch of the Bundesarchiv in Koblenz (Aussenstelle Berlin-Zehlendorf). Bundesarchiv Koblenz, Aussenstelle Berlin-Zehlendorf (BKBZ), personal file Lorenz Hackenholt. The other six SS-NCOs were: Kurt Franz, Fritz Irrmann and Herbert Floss from Buchenwald, and Johann Niemannn and Gottfried Schwarz from Dachau. Zentrale Stelle der Landesjustizverwaltungen (ZStL) 208 AR-Z 251/59: The Case Against Kurt Bolender et al (Sobibor Case), p. 703. Statement by Werner Dubois, 7.9.1961 in Schwelm. For details of the Foundation and its activities within 'T4' see: Henry Friedlander, The Origins of Nazi Genocide: From Euthanasia to the Final Solution (Chapel Hill & London, The University of North Carolina Press, 1995). ZStL 208 AR-Z 251/59 (Sobibor Case), p. 703. Statement by Werner Dubois, 7.9.1961 in Schwelm. For a short history of Grafeneck and its extermination installation see: Karl Morlok, Wo bringt ihr uns hin? Geheime Reichssache Grafeneck (Stuttgart, Quel Verlag 1986). BKBZ personal file August Becker. Disziplinar-Sache Becker/Hackenholt (Tatlicher Beleidigung). ZStL 208 AR-Z 252/59: The Case Against Josef Oberhauser et al (Belzec Case), pp. 1495-1502. SK III/a Report on the Interrogation of Ilse Hackenholt, 30.10.1961 in Sonthofen. Okregowa Komisja Badania Zbrodni Przeciwko Narodowi Polskiemu/Instytut Pamieci Narodowej, Lublin, Poland (OKBL), Ds. 1604/45 - Zamosc (The Death Camp at Belzec). Statement by Stanislaw Kozak on 14.10.1945 in Belzec.Kozak was a member of the team of 20 local labourers who built the camp, including the gassing shed. ZStL 208 AR-Z 252/59 (Belzec Case), p. 190. Letter from the Ludwigsburg Central Office to the Police President of West Berlin, dated 5.11.1959. Ibid., p. 192. Report from Abteilung I of the Berlin Police Presidium to the Ludwigsburg Central Office, dated 16.11.1959. Ibid., p. 193. Archive of the Berlin-Schoneberg Magistrates Court, 72/24 II 1061/53: Official Declaration of Death of Laurenzius Maria Hackenholt, dated 22 August 1953. Copy forwarded to the Ludwigsburg Central Office dated 23.11.1959. Ibid., p. 195. Letter from the Ludwigsburg Central Office to Hauptkriminalkommissar Miller of the Baden-Wurttemberg State Police Office in Heilbronn, dated 23.11.1959. Ibid., p. 200. Letter to the Ludwigsburg Central Office from Kriminalkommissar Jll of the Heilbronn Kriminalpolizei, dated 1.12.1959. Heilbronn Kriminalpolizei Daily Duty Log, Entry No. Sp. 789/59. Ibid., p. 1060. Report by Kriminalpolizei Branch Office of the Bavarian State Police in Kempten/Allgau to the Bavarian State Police Office in Munich, dated 25.11.1960. Copies forwarded to SK III/a on 20.11.1960 and to the Ludwigsburg Central Office on 29.11.1960. Bavarian State Police Daily Duty Log, Entry No. 814/1960. Ibid., p. 1684. Statement by Erich Bauer on 1.3.1960 in Berlin-Tegel prison. SK III/a, Daily Duty Log, Entry No. K.5462. Report by the Examining Magistrate at the Regional Court in Munich I to the Bavarian State Police in Munich, dated 6.3.1961. ZStL 208 AR-Z 252/59 (Belzec Case), p. 1370. Search Warrant No. 7 Gs 1116/61, dated 7.7.1961. ZStL 208 AR-Z 252/59 (Belzec Case), pp. 1370-1372. SK III/a Search Report, dated 13.7.1961. Ibid., p. 1373. Search Warrant No. Gs 121/61. The nine former Belzec guards were: Werner Dubois, Erich Fuchs, Hans Girtzig, Heinrich Gley, Robert Juhrs, Josef Oberhauser, Karl Schluch, Heinrich Unverhau and Ernst Zierke. ZStL 208 AR-Z 74/60: The Case Against Georg Michalsen (Staff of the SS-und Polizeifuhrer Lublin), p. 9280. ZStL 208 AR-Z 252/59 (Belzec Case), p. 1754. Statement by Heinrich Gley on 8.5.1961 in Munster. Ibid., p. 1469. Statement by Robert Juhrs on 11.10.1961 in Frankfurt-am-Main. Niedersachsisches Hauptstaatsarchiv, Hanover, Nds. 721 Hild. Acc. 39/91, No. 28/133, personal reminiscences of Ferdinand Hahnzog, July 1962, p. 245. ZStL 208 AR-Z 252/59 (Belzec Case), p. 1685. Statement by Josef Oberhauser on 12.12.1961 in Munich. Franz Suchomel, Christian Wirth, genannt 'Christian der Grausame' oder 'Stuka' (Ukr. ), Altotting 1972 (private report). ZStL 208 AR-Z 252/59 (Belzec Case), p. 1365. Statement by Hans Girtzig on 18.7.1961 in Berlin. Ibid., p. 1427. Statement by Kurt Franz on 14.9.1961 in Dusseldorf. Ibid., p. 1386. Statement by Werner Dubois on 16.9.1961 in Schwelm. Ibid., p. 1512. Statement by Karl Schluch on 11.11.1961 in Kleve. According to unfinished archeological excavations at the presumed site of the new gas chambers in October 1999, the new gassing building could have contained four chambers on either side of the central corridor, each chamber measuring 4 m. x 4 m.
 National Archives, Washington DC. Statement by Kurt Franz on 30.12.1959 in Dusseldorf. Franz mentions 'engines' and 'engine rooms' in the new gassing building; it would have been logical and efficient to have two engines in operation, each one serving the chambers on either side of the central corridor. Generalstaatanwaltschaft beim Landgericht Munich I ! !5 Ks 3/71: The Case Against Werner Dubois, p. 2029. Statement by Werner Dubois on 15 September 1971 in Munich. Gottlieb Hering: b. 2.6.1887 in Warmbronn, Wurttemberg. After military service in Ulm 1907-1912, served with the Schutzpolizei in Heilbronn. 1915-1919 active service on the Western Front with a machine gun company of Grenadier Regiment 119. 1919-1939 Kriminalpolizei in Schwenningen, Goppingen and Stuttgart. 1939 special police duty in Gotenhafen (Gdynia) in SS-uniform, than transferred to 'T4'. Served in the Hadamar and Sonnenstein 'euthanasia' centres before transfer to Belzec in the summer of 1942. ZStL AR-Z 230/59: The Case Against Kurt Franz et al (First Treblinka Case), p. 2040. Statement by Josef Oberhauser on 21.2.1962 in Munich. Ibid. Kainer had already served a term in Sachsenhausen concentration camp in 1941 on Wirth's orders for breaking the 'T4' oath of silence while serving in the Hadamar gassing centre. 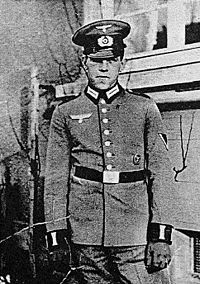 He shot himself when threatened by Wirth with a second term in Sachsenhausen for disobeying his order to clear up the mess around the Treblinka gas chambers. ZStL 208 AR-Z 230/59 (First Treblinka Case), p. 3840. Statement by Erwin Lambert on 27.10.1967 in Stuttgart. Ibid., 208 AR-Z 251/59 (Sobibor Case), p. 1542. Statement by Erwin Lambert on 2.10.1962 in Stuttgart. OKBL Ds. 1604/45 - Zamosc (The Death Camp at Belzec), witnesses statements. ZStL 208 AR-Z 268/59: Case Against Lothar Hoffmann et al (Lublin Gestapo Case), p. 2887. Statement by Heinrich Gley on 6.2.1962 in Munster. Franz Suchomel, Christian Wirth, gennant 'Christian der Grausame' oder 'Stuka' (Ukr. ), Altotting 1972 (private report). Aktion Reinhard promotion list in: BKBZ personal file Christian Wirth. Czeslaw Rajca, 'Podobozy Majdanka' in: Zeszyty Majdanka, vol. 9, pp. 92-93, Panstwowe Muzeum na Majdanka, Lublin 1977. Ibid., 208 AR-Z 252/59 (Belzec Case), pp. 1314-1315. Statement by Kurt Bolender on 5 June 1961 in Munich. Bolender had been sentenced by an SS and Police Court in Cracow to nine months imprisonment — three of them in a penal camp in Danzig-Matzkau, for intimidating a witness and committing perjury during his divorce proceedings. Ibid., pp. 1496-1497. Statement by Ilse Hackenholt on 31.10.1961 in Sonthofen. 65 Ibid. Ibid., 518 65/65: The Case Against Josef Oberhauser (San Sabba Case), p. 324. Statement by Josef Oberhauser on 24.9.1974 in Munich. Ibid., 208 AR-Z 251/59 (Sobibor Case), p. 931. Statement by Heinrich Gley on 4.12.1961 in Munster. Franz Suchomel, Kleiner Bericht uber die Operationszone Adriatisches Kustenland, Altotting 1978 (private report). ZStL 518 AR-Z 65/65 (San Sabba Case), p. 328. Statement by Josef Oberhauser on 24.9.1973 in Munich. Ibid., p. 1469. Statement by Robert Juhrs on 11.11.1961 in Frankfurt-am-Main. 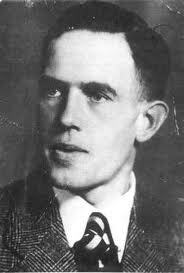 Wirth was assassinated on 26 May 1944 by Yugoslav partisans of I Battalion of the 'Istrska' Division led by Max Zadnik while on a duty journey from Trieste to Fiume (now Rijeka in Croatia). His car was ambushed near Kozina, 20 km. east of Trieste. See: Max Zadnik, Istrska Odred, Nova Gorica 1975, pp. 321-322. ZStL 208 AR-Z 252/59 (Belzec Case), p. 1470. Statement by Robert Juhrs on 11.10.1961 in Frankfurt-am-Main. Ibid., 208 AR-Z 251/59 (Sobibor Case), p. 2430. Extracts from the files of the State Prosecutors Office in Munich I pertaining to the civil action against Ilse Hackenholt by the Social Security Court in Augsburg in 1962. Ibid., p. 1326. Statement by Kurt Bolender on 6.6.18961 in Duisburg-Beeck prison. Ibid., 208 AR-Z 252/59 (Belzec Case), p. 1380. Statement by Karl Schiffner on 19.4.1963 in Salzburg. Ibid., 208 AR-Z 251/59 (Sobibor Case), p. 2429. Extracts from the files of the State Prosecutors Office in Munich I pertaining to the civil action against Ilse Hackenholt by the Social Security Court in Augsburg in 1962. Ibid., 208 AR-Z 252/59 (Belzec Case), p. 1386. Statement by Werner Dubois on 16.9.1961 in Schwelm. Ibid., p. 1527. Statement by Willy Grossmann on 9.11.1961 in Erndtebruck. Ibid., p. 1505. Karl Schluch, 11.11.1961/Kleve. Hering died in unknown circumstances on 9.10.1945 in the waiting room of the Katherinen Hospital in Stetten-im-Remstal, Wurttemberg. His death certificate does not give a cause of death and is therefore a legally invalid document. He was being investigated at the time by the French military authorities as a suspected war criminal. Copy of the death certificate in: ZStL 208 AR-Z 252/59 (Belzec Case), p. 416. Ibid., 208 AR-Z 251/59 (Sobibor Case), pp. 2429-2433. Report by the examining magistrate at the Regional Court in Munich I. Ibid., p. 990. Report to the Senior State Prosecutor at the Regional Court in Munich I, dated 16.8.1960. During a house search by police of the Hering's apartment at Sylvaner Weg 2 in Stuttgart-Fellbach on 18.7.1961, in connection with the Belzec Case, among other items there were found seven letters to Frau Hering from Heinrich Gley, and two photographs of Gley. The return addresses on the envelopes led to Gley's arrest in Munster. Ibid., p. 2440. Helene Schubert (Hering), 2.10.1963/Stuttgart. Ibid., p. 2249. Helene Schubert, 3.8.1962/Waiblingen. Ibid., ZStL 208 AR-Z 252/59 (Belzec Case), pp. 1379-1380. Report by the Sonderkommission of the Baden-Wurttemberg State Police to SK III/a in Munich, dated 16.8.1961/Ludwigsburg. Daily Duty Log, Entry No. SK. ZSt. II/17-162/61. Ibid., pp. 1593-1594. Report dated 17.7.1961/Ludwigsburg. Daily Duty Log, Entry No. SK. ZSt. I/18-162/61. Belzec extermination camp Field Post No. 27712. ZStl 208 AR-Z 252/59 (Belzec Case), p. 1496. Ilse Hackenholt, 31.10 1961/Sonthofen. The description of the stranger given by Ilse Hackenholt could correspond to Rudolf Kamm who had served with Hackenholt in Belzec and Trieste. Kamm was arrested by the US Army in Bavaria in the summer of 1945 and interned in the Aiblingen camp. He was not released until 18.2.1946, which would explain his failure to turn up to meet Ilse Hackenholt in June 1945.